A wide array of businesses are drawn to the busy streets of Isla Vista (I.V. ), with new hopefuls arriving every year to compete for the interest of thousands of young adult customers. From chains like Starbucks to independent establishments like I.V. Deli, the two-block downtown district in I.V. sustains nearly 50 independently and franchise-owned establishments. As businesses in I.V. begin to outgrow the humble beach town, business owners in I.V. continue to stay afloat. “The original concept was called ‘Blunts and Bagels’ and it was gonna be a dispensary bagel shop,” Daniel Dunietz, owner and founder of Buddha Bowls said. Captivated by the beach town’s creative and unique vibes, Dunietz knew he wanted to own and operate his own business in Isla Vista even before he attended UCSB. While Dunietz has larger political ambitions in mind, he and other Isla Vista business owners are focused on the more immediate challenges of running a successful business in the community. The Isla Vista Downtown Business Owners Association was formed in 2015 to market I.V., protect businesses and deal with problems of parking and safety. The college-town atmosphere of Isla Vista makes working in the beach haven both social and engaging, but the isolated location suffers from a constantly increasing flow of students, high population density and the effects of a thriving party scene. “The sheer number of young people here, the energy, it’s a place that can really embrace something unique and different,” Dunietz said. “It’s not somewhere that you have people that are set in their way, they’re new, they’re molding,” Dunietz said. The progressive ideologies and creative personalities of many students make I.V. a “perfect” place to operate a restaurant. Andrea Maasz, manager of Otaco, said there are sometimes issues with rowdy customers, but I.V. is one of the best places she has worked. According to Maasz, when planning for the opening of the restaurant, Otaco’s interior designers had to take into account the energy of I.V. customers and the “potential for mayhem” in the small area. Rico Ochoa Suave, manager of Pizza My Heart, said he has “seen it all” when serving I.V. customers, and appreciates the town as a lively environment for business. “It can get a little bit hectic maybe with alcohol, but it’s always a great place to be,” Suave said. Pizza My Heart employees must be prepared to handle situations involving intoxicated customers, but Suave said customers rarely need to be kicked out. Virtually all businesses in I.V. are squeezed into a few “downtown” blocks, stretching from 65 Pardall to 65 Trigo. The area is commonly packed with students commuting to and from campus and the congested area offers few options for parking. Beginning in 2015, I.V. stakeholders started holding weekly meetings to discuss solutions for more efficient traffic in the area. Jacob Bergam, manager of Bagel Café, said careless pedestrians and bikers and “horrible” parking create an unappealing shopping environment in I.V. “As a result most non locals avoid making the trek to Isla Vista business,” Bergam said in an email. Marissa Bragstad, Isla Vista Food Co-op floor manager and outreach assistant, said non-student residents shop at the Co-op, but some of them may be “put off” from its location in Isla Vista, which is drastically different than the surrounding Goleta and Santa Barbara areas. The majority of I.V.’s population flows in and out as college graduates move out of town to make place for incoming freshman. Due to the transient nature of I.V.’s residents, businesses are hard-pressed to retain customers and appeal to new residents. The Isla Vista Food Co-op, which first opened in 1972, has in recent years begun several programs to support I.V. and encourage community participation. Woodstocks General Manager James Glover said another downside of I.V.’s transient environment is the need to constantly rehire employees. According to fifth-year math major Donald Heatherington, the increase in chain businesses was inevitable because smaller businesses have difficulty surviving in I.V. Hempwise owner Espino said student traffic, which is highly dependent on the university schedule, creates a difficult business pattern. “The bad is there is a lot of downtime with all the holidays; it’s pretty much kind of stuck to the school schedule, so during any holidays it’s real quiet; during finals and test times, it’s quiet,” Espino said. Espino said Hempwise does not have as large as an advertising budget as other businesses, and instead relies on more inexpensive, “less mainstream” forms of promotion. “We definitely have tried to focus more on more grassroots promotion like flyers and handouts, you know, word of mouth and things like that as opposed to other years where we would do more blanket advertising through the Independent and even the Daily Nexus, which we’re not really doing so much anymore,” Espino said. Dunietz said he has not changed his business model since he opened because his business has been successful despite changes in I.V.’s environment and increased competition. “There could be a hundred new restaurants opened up and I still feel I could succeed because if you do the right thing and you attract the right kind of customers, you’ll be all right,” Dunietz said. 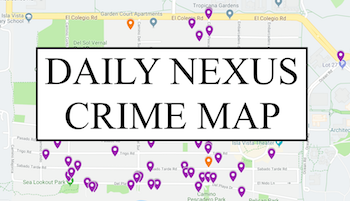 Check out the Daily Nexus next week for the second part of our series dedicated to Isla Vista businesses. 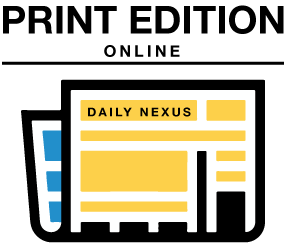 A version of this story appeared on page 3 in the Thursday, Friday 18, 2016 print edition of the Daily Nexus.